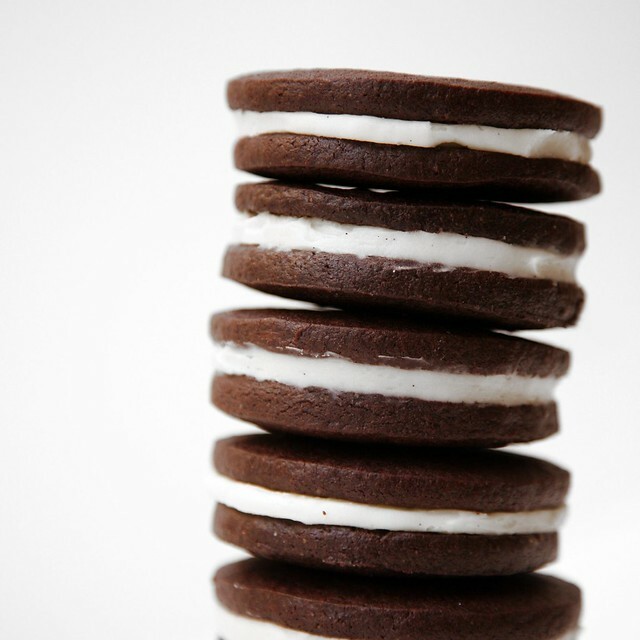 I'm sorry but who wouldn't want to eat this giant stack of oreos with an ice cold glass of milk right now? I tell you whut. Luckily, they are no longer in my house. I shipped them all last week as part of a special order from a friend. Ok, fine....it didn't go out entirely untouched. I made a test batch first. It passed the test. The End. PS - I have left-over dough and filling in my freezer. I had a little fun with the test batch and used some letter stamps in the dough. It's cute but it didn't make it past the cutting room floor. I just wanted to just keep it simple. In a medium bowl, whisk the butter and the sugar together until thoroughly combined. Stir in the melted chocolate and vanilla. Finally, add egg and whisk until well-blended. In a separate bowl, combine remaining dry ingredients (flour, cocoa powder, baking soda, and salt) and whisk until well-mixed and evenly distributed. Gradually fold the flour mixture into the chocolate mixture until comes together as one large, pliable mass of dough. Cover with plastic wrap and set aside for 1 hour or until firm. Pre-heat oven to 325 degrees Fahrenheit. Divide dough into two or three parts. Roll out each section of dough between two sheets of parchment paper to about ⅛ to ¼ inch thickness. 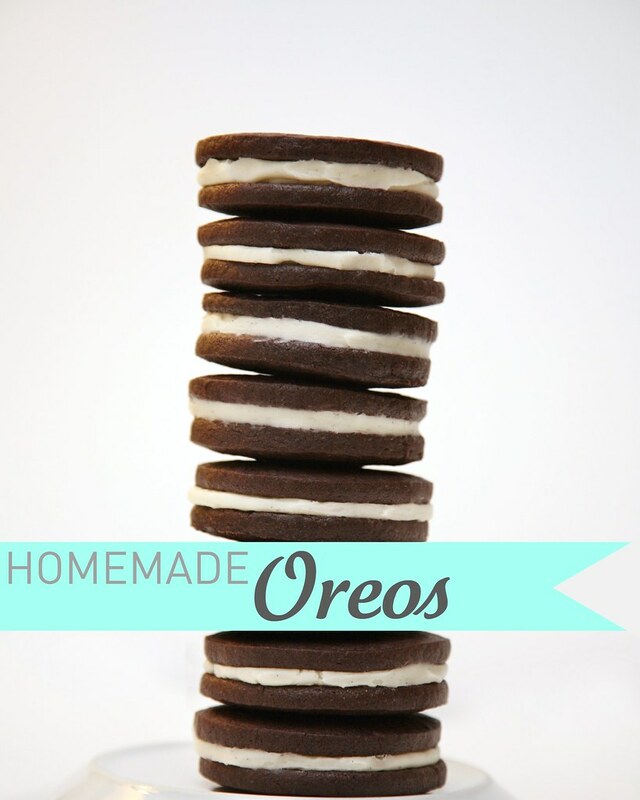 Use round biscuit cutter (2 ¼ - 2 ½ inches in diameter) to cut out circles. Place cookies on parchment-lined baking baking sheets 1 inch apart. Bake the cookies for 20-25 minutes, checking them often after 15 minutes, or until they are firm when touched in the center. Let cookies cool to room temperature on the baking sheets. In the bowl of an electric mixer, beat the butter on low speed for half a minute. Add the vanilla bean paste, vanilla extract, and confectioners sugar and beat until smooth. Beat in the salt. The filling will look and feel like spackle or putty. 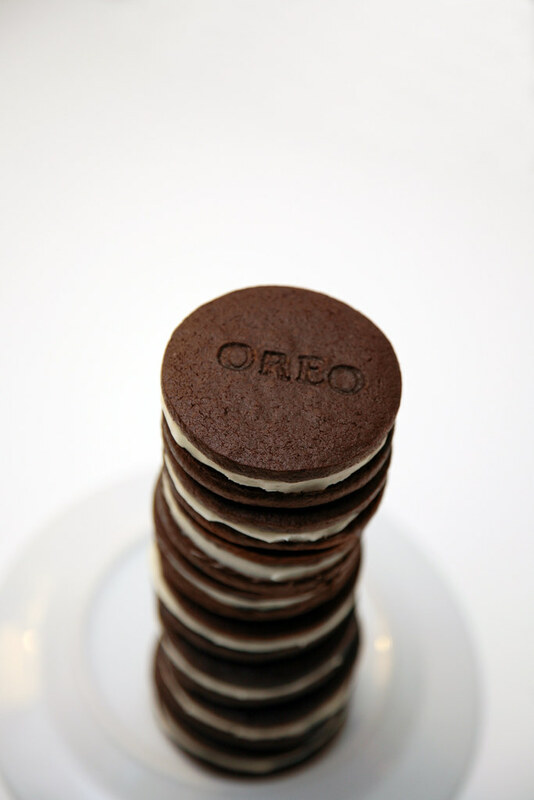 Scoop a tablespoon of filling on the bottom side of a cookie. Do this for half of the batch of cookies. Press the remaining cookies on top with the bottom side touching the filling. 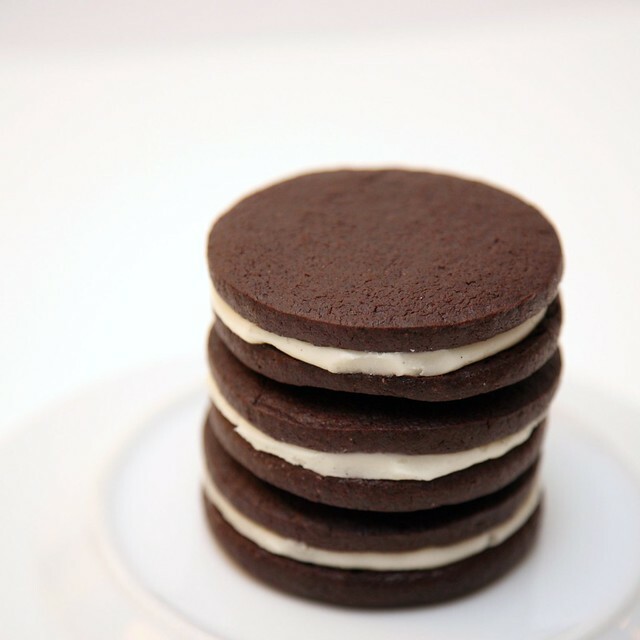 Gently press down and twist slightly to make a cookie sandwich and evenly distribute the filling.